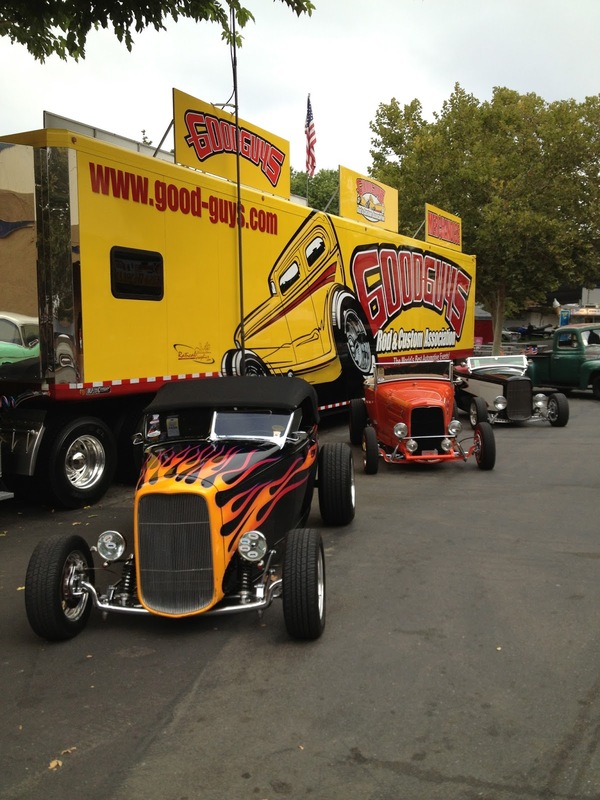 This past weekend was the 27th annual Goodguys West Coast Nationals held in Pleasanton, Ca at the Alameda County Fairgrounds. 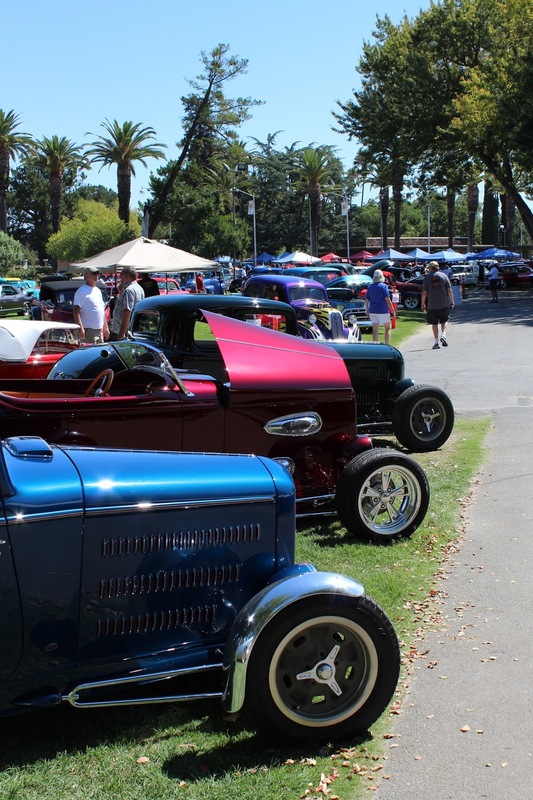 California Car Cover has been exhibiting at the show for many years and our sales crew looks forward to the August event each year. 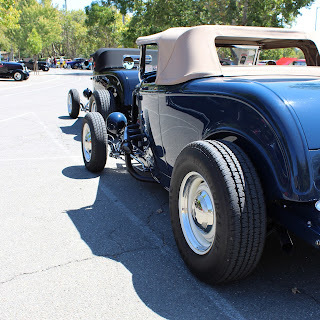 I had not been to the car show in many years, so this time around I joined the CCC Crew to talk custom fit car covers and car care with our associates. It was a great weekend in Northern California. Here are some of my photo highlights. The crew and I found ourselves in downtown Pleasanton on Thursday night. We had dinner with some friends and socialized before the show kicked off on Friday. I am a little crazy and I love to see our California Car Covers on display at car shows. The host hotel parking lot was filled with row after row of classic cars using our covers. Friday was the first day of the show. 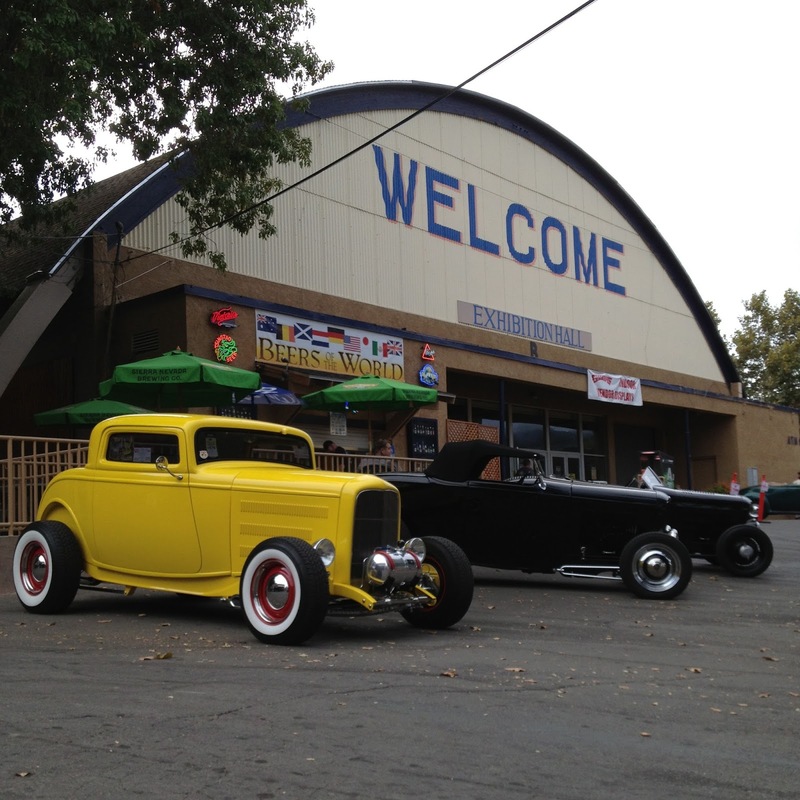 It was not as busy as Saturday, but their still were plenty of people and cars at the fairgrounds. 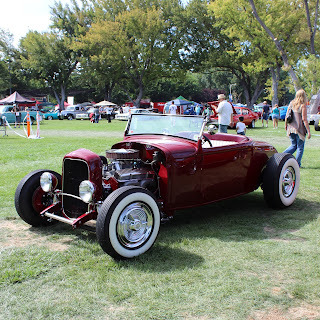 I was able to check out more cars on Friday than Saturday, so here are a few of my favorite cars from the show. 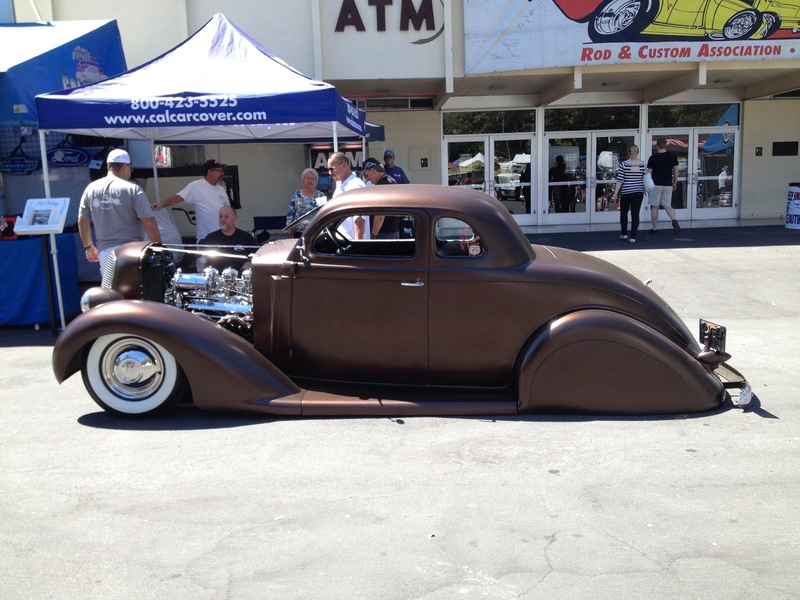 Our friend Mike over at H&H Flatheads brought his new coupe out to the show. The front lawn was filled with classic cars first thing in the morning. 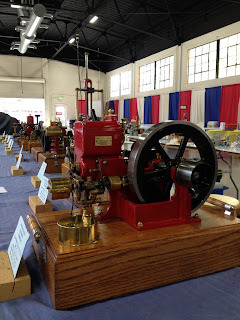 The swap meet was a big draw for show attendees over the weekend. 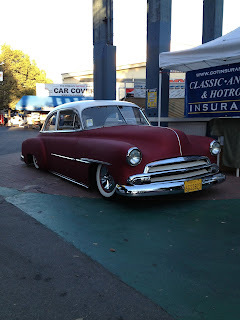 I am always on the look out for vintage signs or car magazines, so I made sure to cruise the aisles on Friday morning. The Goodguys Pleasanton show had a nice showcase of vintage woodies at the event. 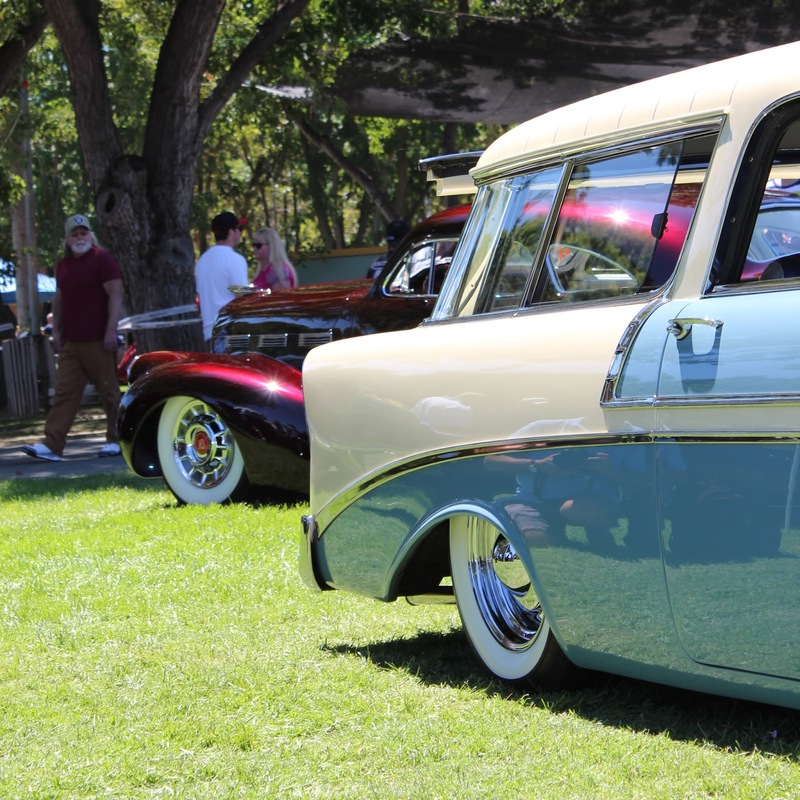 All woodies parked together in a shaded area for attendees and owners to socialize. 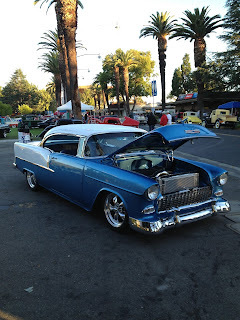 There were a few nice 1955-56 Chevy convertibles on display in Pleasanton. There were very cool and pretty low to the ground. The California Car Cover booth is right in the middle of the action. 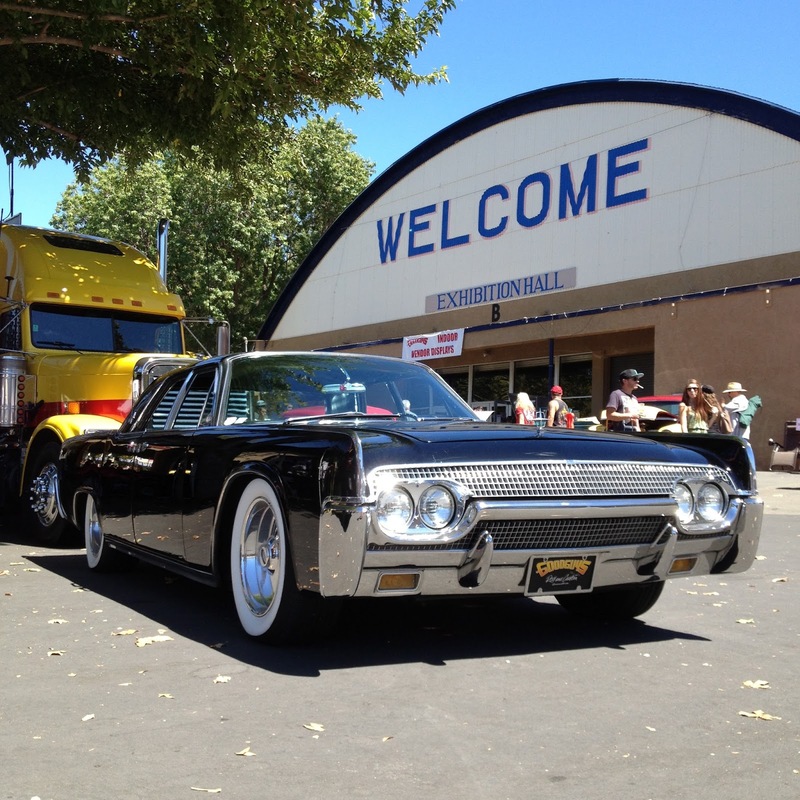 Between the cruising cars, hungry spectators and our customers, the booth was busy all day long. 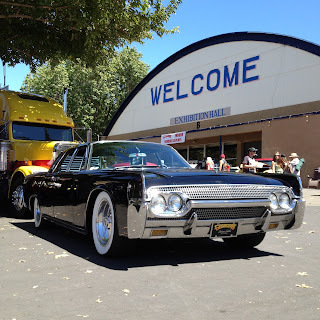 The swap meet also had a car corral with plenty of classic cars and trucks up for sale, just like this custom pickup. 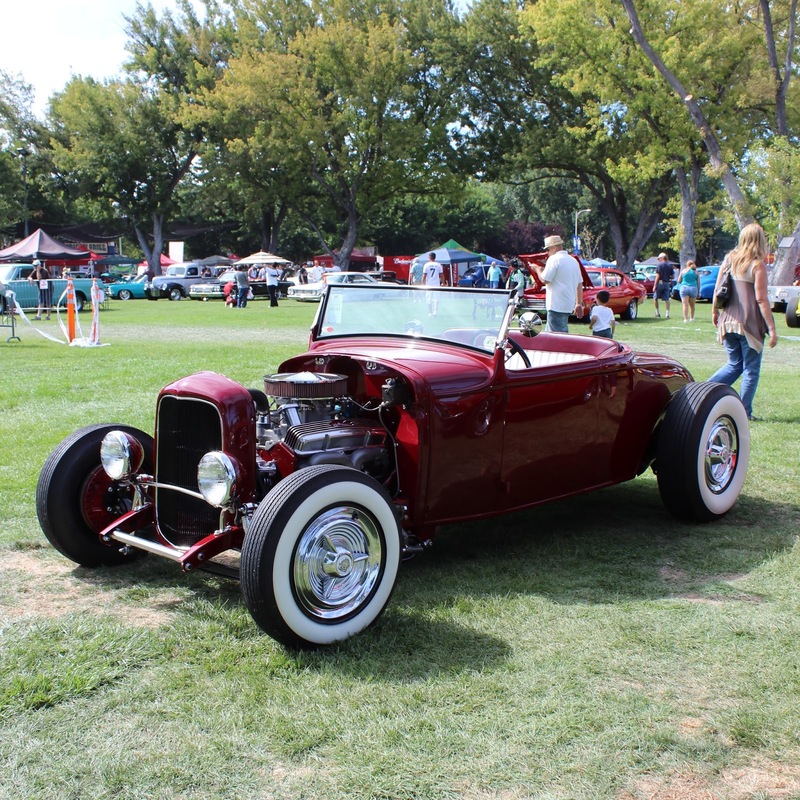 The sun was out on Sunday and there were plenty of classic cars and hot rods throughout the fairgrounds. This 1956 Chevy Nomad was one of my favorite cars at the show. 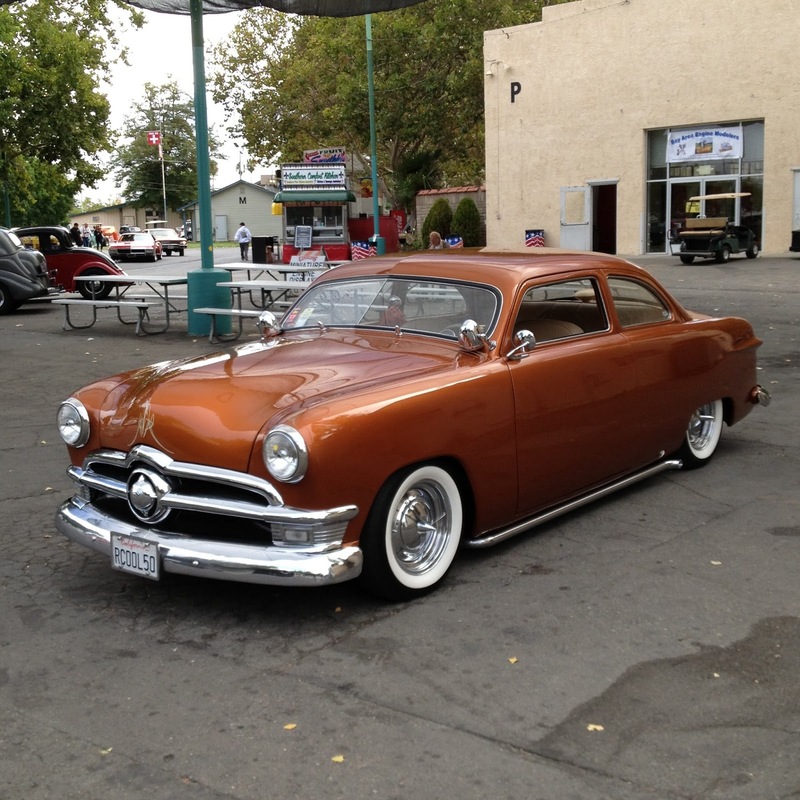 It was clean and sat very nice. There are a few exhibitors hall at the fairgrounds, plus a few special exhibits. 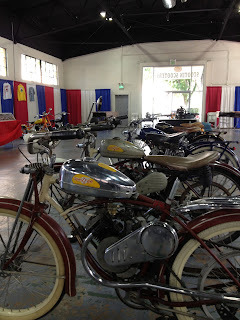 The Scooter exhibit showcased motorized bikes and scooters from all eras. The model engine exhibit was a hit with some of the California Car Cover associates as the hall was filled with miniature working engines. Are you on Instagram? Follow along with California Car Cover. I posted plenty of photos from the show on our Instagram feed. Stay connected with us at all the shows and events that we attend. 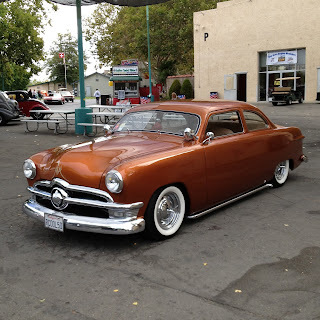 Another satisfied California Car Cover customer. Well, not exactly. 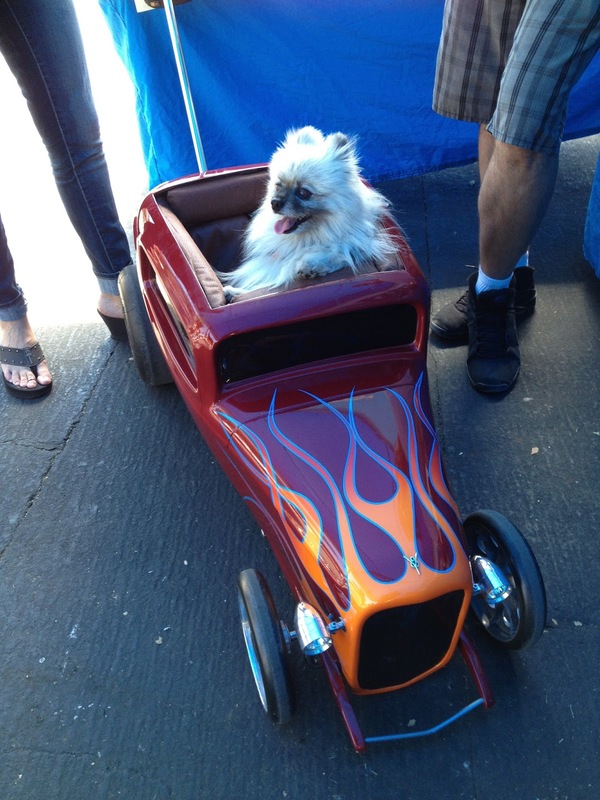 This furry car lover's owners stopped by our booth on Saturday. Check out the custom stroller. On Sunday morning, a few customers stopped by our booth to get measured for custom car covers. We were happy to obliged. After a few measurements, each car owner was all set and will receive their custom covers in a few weeks. 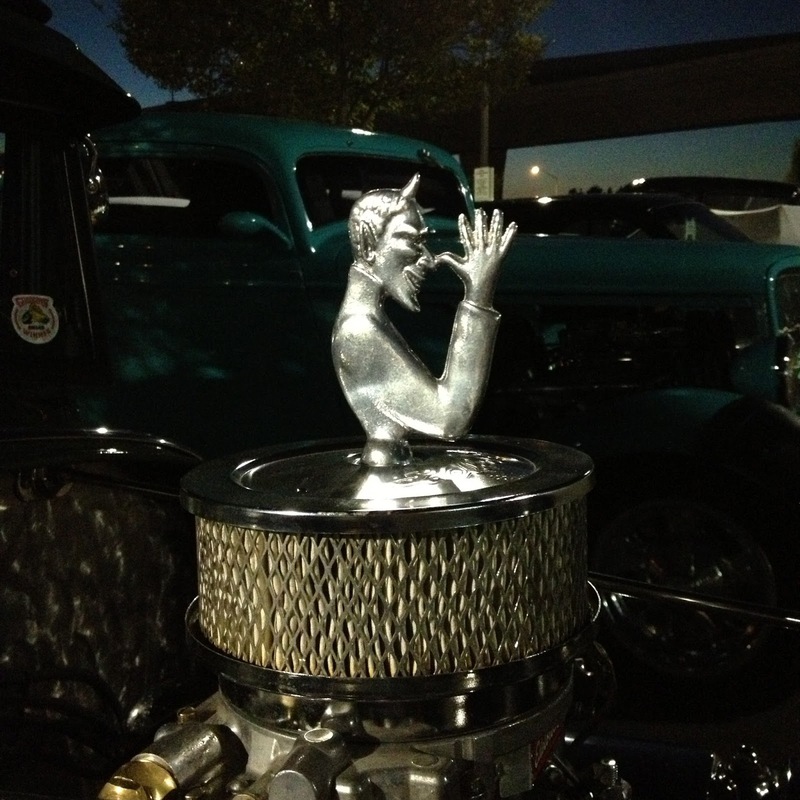 Later on that day we were happy to see that both cars were award winners at the show. Big thanks to our friends at JP's Racing for keeping all of their Jelly Belly race cars clean with our California Car Covers. We had a great weekend in Northern California. Stop back next week for my coverage of next weekend's Ventura Nationals car show.